An important part of health care for dogs is dog grooming. Of course this doesn’t have to be done every day and will depend on the type of dog you have and the length and thickness of his coat. Long haired dogs with thick coats need more grooming and regular hair-cuts to ensue they stay clean. Daily brushing is also a good idea for long haired dogs. Don’t worry that grooming your dog might cost you hundreds of dollars, you can easily groom your dog at home with these easy dog grooming tips. Does your dog need grooming? Because canines love playing out in the yard, they can often become covered in dirt, have an “doggy” odor about them, and perhaps even get a tick embedded on their bodies. Long haired breeds can get matted, which can lead to skin infections. To ensure good health, concentrate on keeping the nails and teeth clean too along with the coat. Is it possible to groom my dog without seeing a professional groomer? Absolutely. Grooming your dog in your own home is easy. The first thing you should do is get the tools you will need such as pet dog brushes, special shampoo for dogs, a hair dryer, a towel, nail clippers and trimming scissors. Grooming can be hard the first time because some dogs are afraid of water. Spray small drops of water about the pet’s body to begin with. You can even put your dog in a tub, slowly filling it with water just so you won’t be giving him or her quite a shock which he may not like. Once you get your dog calmed down, make sure that his whole coat is wet enough to apply shampoo. It would be best to use one formulated to prevent and kill fleas, ticks and other parasites. When shampoo is applied, lather all over the coating. Make sure it bubbles enough in order to take off all the dirt. Once done, rinse with a lot of water until no bubbles are present on the coating. Also be warned to always cover your dog’s ears each time your pour water. It is also important to note that a dog’s natural instinct is to intensely shake off water so be prepared to get wet yourself. Once you’re done with the washing part, it’s time to do a couple finishing touches. Start with gently rubbing the dog’s coating using a towel and afterwords make use of a hair drier with keeping it at very low heat settings. Trim it to get that neat finish if your dog has a long, dense and curly coat. To remove the remaining cut fur, brush your dog’s coat properly. Taking the clippers, begin snipping off the long nails of the dog. Just do it slowly and carefully, targeting only the pointed tips of the paw nails. To top it all off if you’re not using Frontline Plus or some other topical flea safeguard, apply flea protection powder throughout the coating and voila! Though expert grooming services can make things simpler, doing it yourself can save you money, as well as giving your pet dogs the feeling of being cared about. Here is a wonderful technique for the purpose of a stronger connection between you and your dog. Also, weekly grooming is critical for dogs to prevent odor, ticks and fleas. Dog Bathing Suggestions To Minimize Anxiety. 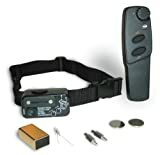 &#84&#104&#101 Deluxe Big &#68&#111&#103 Trainer is a full &#102&#101&#97&#116&#117&#114&#101&#100 trainer &#100&#101&#115&#105&#103&#110&#101&#100 for both the &#112&#114&#111&#102&#101&#115&#115&#105&#111&#110&#97&#108 &#97&#110&#100 the average pet owner. Recommended for &#100&#111&#103&#115 over 40 pounds or stubborn dogs over &#49&#53 pounds. Includes a comprehensive &#116&#114&#97&#105&#110&#105&#110&#103 &#109&#97&#110&#117&#97&#108. It can be &#117&#115&#101&#100 to &#100&#101&#116&#101&#114 unwanted behavior such &#97&#115, &#99&#104&#101&#119&#105&#110&#103 on furniture, jumping on guests &#111&#114 digging. &#67&#97&#110 be used &#102&#111&#114 &#98&#97&#115&#105&#99 obedience training as well.